Images for cabochons and other creations. 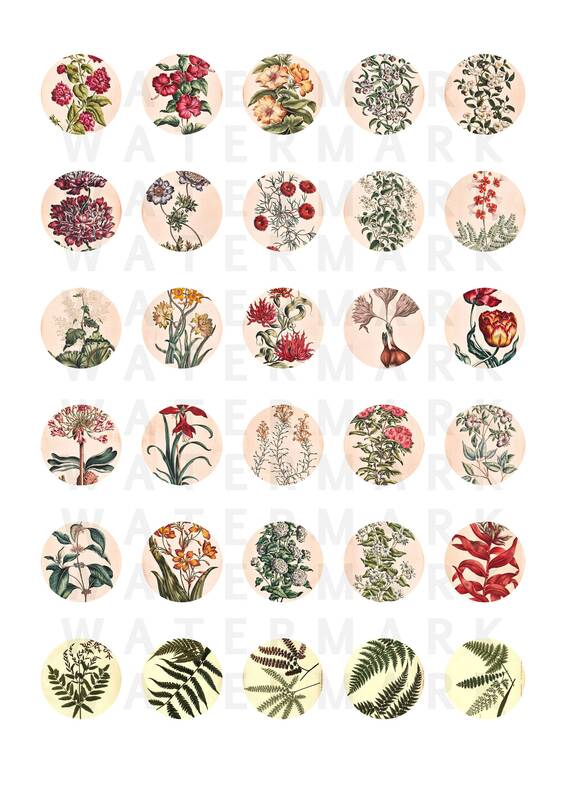 90 patterns from the 19th century on the theme of flowers available in 6 sizes: 11 sheets of images for 30 round cabochons, 25, 20, 18 and 14mm and and 3 plates with square images for more flexibility 35mmm (allows you to frame yourself your cabochons in the picture). 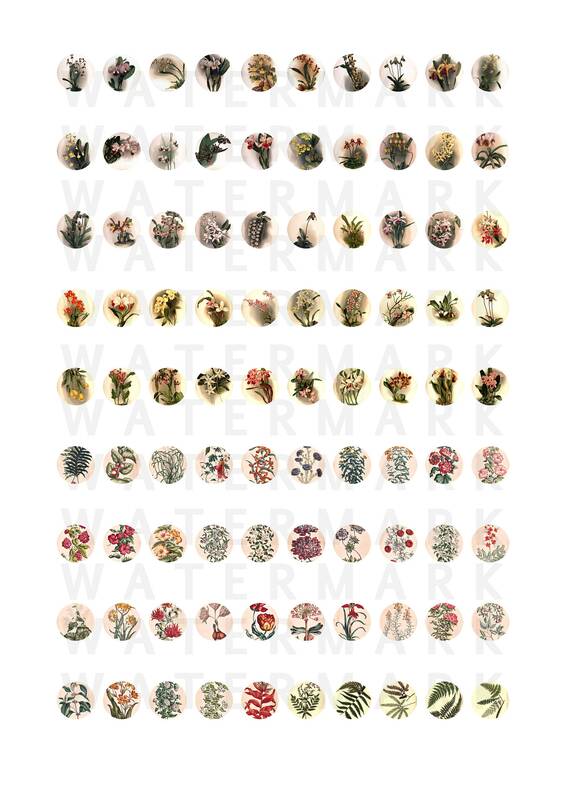 A total of 540 illustrations of high quality (600 dpi).
. 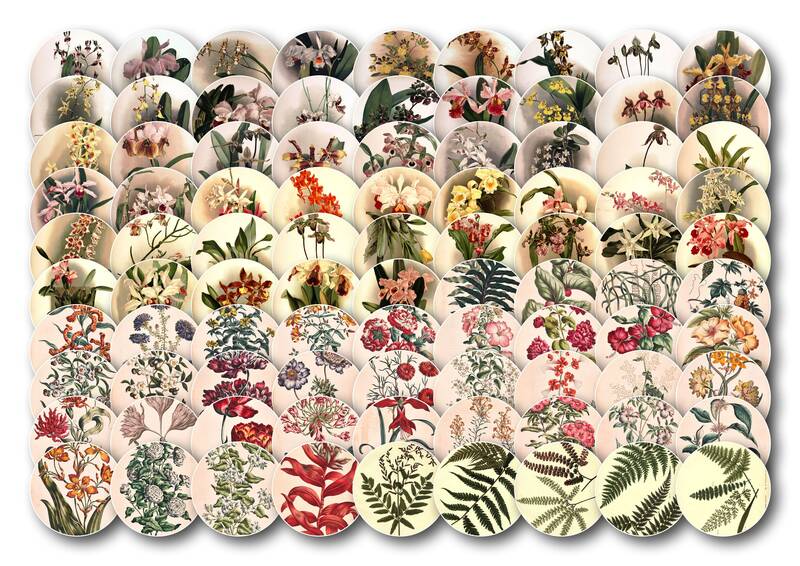 Allowed commercial use: you may sell your creations, but you can not give or resell the digital files (plates) such as what.